E.R. Zarevich is an English/ESL teacher who writes in her spare time. She resides in Burlington, Ontario. This entry was posted on by E. R. Zarevich. You are the Mom-Friend. The Mom-Friend is always prepared for blood, though not in the warrior sense. Your friends laugh because you carry a first-aid-kit worth of tissues, menstrual pads and Band-Aids wherever you go. But they’re not laughing when they get paper cuts or when the blisters on their feet burst after a hike. They’re not laughing when their runny noses drip like melting icicles onto their shirt collars. They’re not laughing when they’re trapped in a public washroom stall, calling out to you for help with their pants and undies lying limp around their ankles. Mom-Friend to the rescue. You are the Mom-Friend. Instinct drives you on. It’s in your blood. Your Mom was a Mom-Friend, and her Mom before her. They were the oldest daughters, the watchful and protective stand-ins for their younger siblings while their parents laboured around the farm or did late shifts at work. You were the oldest daughter and it was a job you took seriously. Little kids are all the same. They scrape their knees and get nosebleeds. Like your mother and grandmother, you’ve learned to get Band-Aids on those knees quickly. You taught your siblings to hold their head up, nose pointed to the ceiling. Don’t cry, you told them. Don’t panic. Breathe. No one dies of a nosebleed, you said, as you gulped down your own rising nausea. The waste bin filled up fast with red-blotted tissues. Habitually, you started filling up your purse with packets of them. Grab a handful at the gas station. Just in case. You are the Mom-Friend. You are absorbent. You roll up your sleeves and mop up the mucus and blood and vomit and tears. The boy across from you on the train is sneezing. 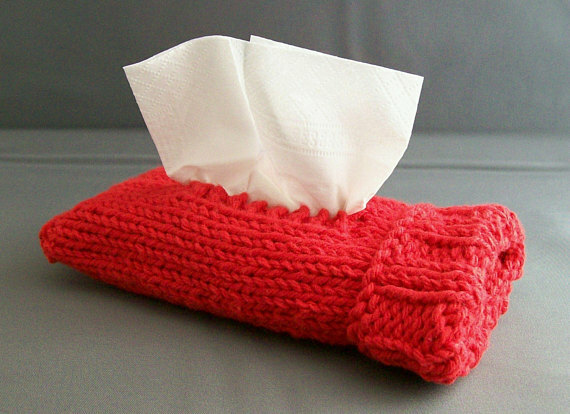 You pass the tissues. Co-worker has a wet cough. Tissues. Later, you reach into your purse for tissues to dry your heartbroken friend’s eyes while you seethe inwardly. How dare he? You ask, you ask, and you ask again. You sponge up the rage your friend holds back. You demand an explanation from the world as the blood of your mother and grandmother and great-grandmother and every woman who had a part in making you boils inside. You want to see that red flow. You want vengeance. But that feeling passes, because you are the Mom-Friend, and a healer first. And right now, your friend needs healing. Mom-Friend, keep your heart, and your purse, full. Always.